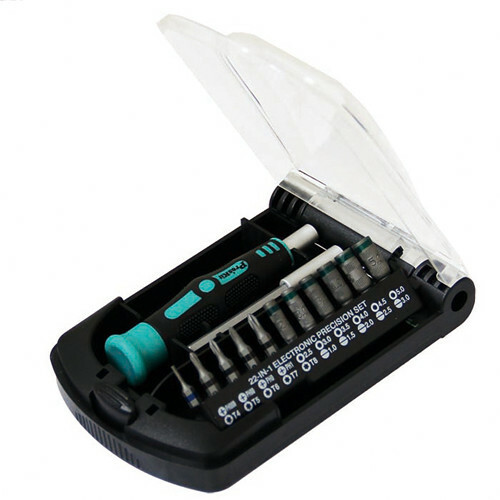 The Eclipse Tools 22-in-1 Precision Screwdriver Set is a 22-in-1 screwdriver kit with bits and tools. The screwdriver features a rotating cap and a non-slip and dual color PP-TPR handle for comfort. This set comes with an extension bar for accessing fasteners in tight areas. The bits are color-coded for easy identification and management. Box Dimensions (LxWxH) 6.8 x 4.0 x 1.3"